ManageHub was developed in response to first-of-its-kind research that identifies the need for credible, practical management training to improve business success rates. ManageHub is committed to providing affordable solutions that are within reach of every business -- from early-stage startups to established small businesses looking to grow. ManageHub is dedicated to delivering consistent, and high quality services that delight participants every time. ManageHub believes every business should have access to the same kinds of management methods used by the largest companies to grow, innovate, and succeed. ManageHub is building a world-wide community of business leaders who are determined to build excellent companies that are prepared for long-term innovation and growth. ManageHub believes that small business success is the key to building healthy, vibrant local and national economies. Our mission is to dramatically improve the success rates of small businesses by helping them adopt the same kinds of management practices used by the largest and most successful companies to become highly organized, innovative, productive, and profitable. The Problem: The "L Shaped Curve"
Small Businesses are often referred to as the "backbone of the U.S. economy." However, the SBA and Bureau of Labor Statistics reveal a frightening decline in small businesses contribution to employment and GDP. Most troubling, for the first time ever, the number of small businesses that failed outpaced the number of new startups. 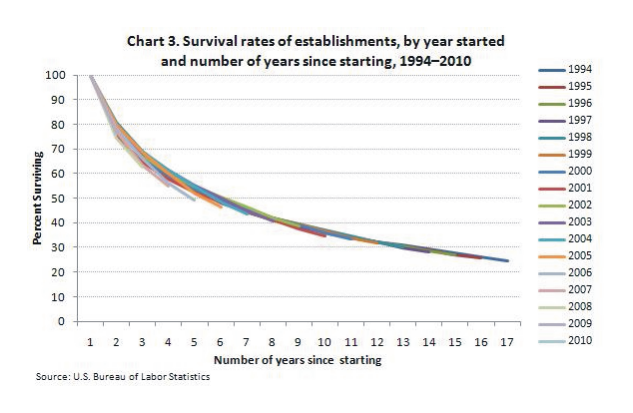 This means there is a net decline in the overall number of businesses in the United States. The Cause: New Research identifies "The Management Gap"
ManageHub worked with the Breakthrough Project and the U.S. Baldrige Performance Excellence Program to survey over 1000 small business owners in a first-of-its-kind research project studying the adoption of best management practices by small businesses. We found that the overwhelming majority of small businesses are not implementing even the most basic quality management practices associated with successful, long-lived companies. For example, they are not documenting their operational procedures, or engaging their employees in continuous improvement. This is causing their success to be random and unpredictable. To reverse the negative trends, and fill the "Management Gap," small businesses need access to the same kinds of management practices recommended by the most respected best-selling books, magazines, quality models, and MBA programs. The problem, however, is that their recommendations are often out-of-reach of business owners because they are too theoretical, too complex, or too expensive to implement. 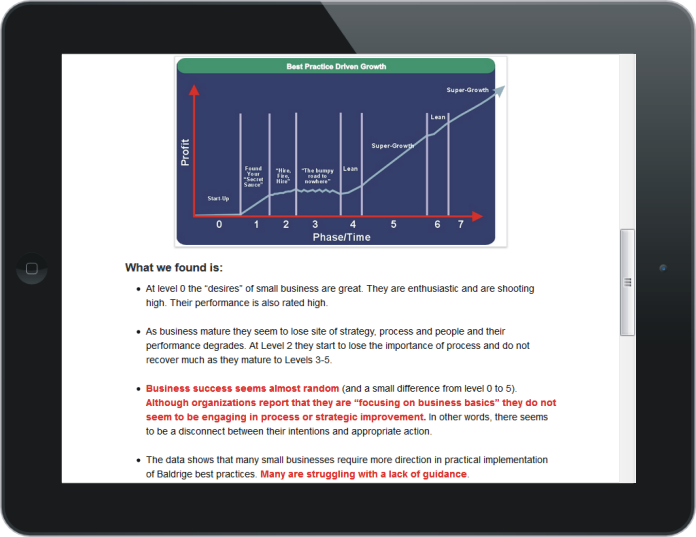 ManageHub was developed to provide small businesses with a simple, step-by-step on-ramp to adopting right-sized best management practices. 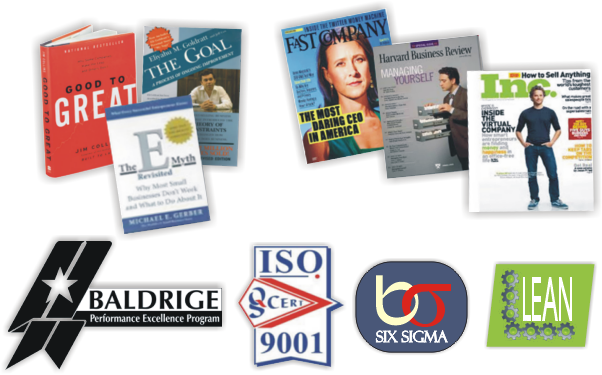 ManageHub is based upon the U.S. Baldrige Performance Excellence Program, the United States standard of management excellence. ManageHub is also consistent with the most respected quality management approaches like TQM, Six Sigma, ISO, and Lean. Yet, it is non-theoretical, non-technical, and non-threatening. The ManageHub Accelerator was selected to be a key partner of the Alliance for Performance Excellence. 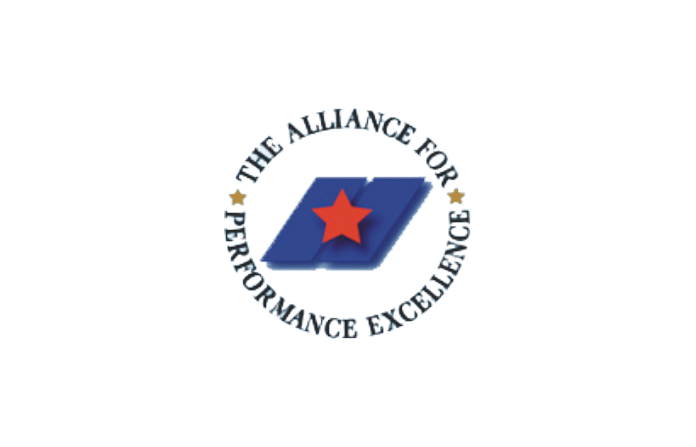 The Alliance is the outreach arm of the U.S. Baldrige Performance Excellence Program. They have 37 member organizations located throughout the United States. The Alliance views ManageHub as providing an easier onramp to adopting Baldrige-based practices. It is also viewed as a path to finally fulfill Congress's intent of using Baldrige to help small businesses become more innovative, lean operating, customer focused, and prepared to grow in the long-term. ManageHub is not another "guru" methodology. Everything we do is based upon time-tested quality management practices used by the largest, most successful companies. Our innovation is that we make these tried-and-true methods accessible to all businesses regardless of industry, size, or stage-of-development. 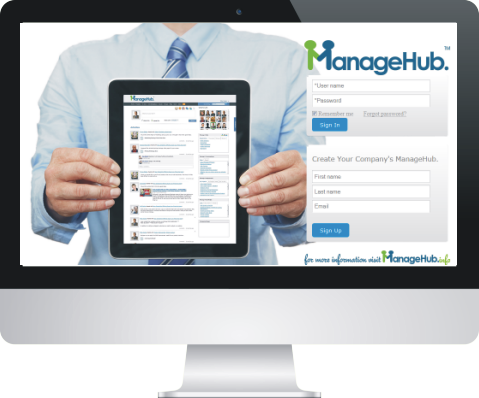 ManageHub is a right-sized, systematic, turnkey solution. 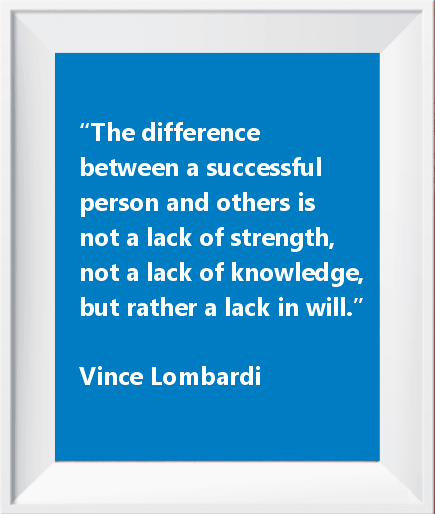 The question is: Are you determined to build a truly excellent company that is prepared to grow? Working with ManageHub is like hiring a personal trainer. We will give you the tools, step-by-step direction, provide support, and hold you accountable, but you need to lift the weights. If you are committed to optimizing your business we are excited to help you find the easiest path to growing your business and achieving your goals. ManageHub Software: Enterprise software that automates your company's management process like your accounting software automates your bookkeeping. Accelerator Training: A hands-on leadership training program that guides you through a step-by-step business optimization program. Coaching Support: Customized coaching to help engage your teams, hold you accountable, and maximize your benefit.